Blog » SEO » Is There Any Difference between Google Indexing and Crawling? I think it is quite an important topic yet quite misunderstood. Most people think of Google Indexing and crawling as the same thing. Apparently, they are not. In this post, I am going to explain the difference between Google index and Google crawl and why should you even care. In simple terms, it is a process used by Google Search to find new webpages from the Worldwide web to store them on its servers. It is a computer program run 24/7 on very powerful hardware. This program finds new pages through 2 different methods. When webmasters upload a sitemap.xml file through Google Search Console, google crawl all those pages. When Google crawler finds new internal links on any webpage, it visits them and sends them to Google’s servers. When Google crawler finds new webpages through the process of crawling, it sends them back to Google’s servers. Google specific servers then store those new webpages. The process of saving those pages is known as Google’s Index. If that sounds too confusing then think of Google index as storage where Google save web pages. Those web pages then displayed in the search results on specific queries. -Googlebot Mobile – This Googlebot crawls pages in mobile-format. -Googlebot Desktop – Crawling desktop version of a web page. Recent Mobile first-indexing has changed this process a little bit. Before Google introduced mobile first-indexing Googlebot first crawls desktop version of the website and then index pages and rank them in its index. Now, it works a little differently. It first crawls the mobile version of a website then store it in its index. What is a Google Data Center and Where is it Located? These are specific data storage centers which store data for Google’s many platforms and services. These servers specifically designed to save data on hundreds of hard drives and solid state drives without having a data loss. It is where Google index all the webpages data. There are no official numbers on how many such data centers are in existence but according to Gartner 2016 report, there are around 2.5 million such data centers exist worldwide in various countries. 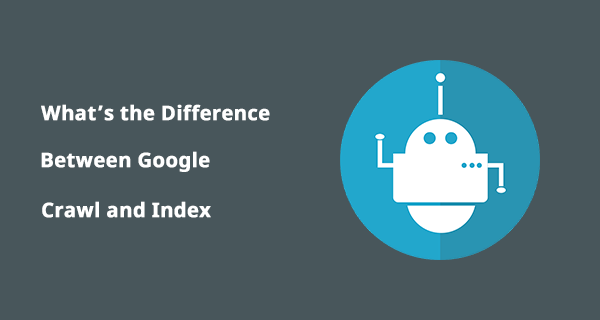 What’s the difference between Google Indexing and Google Crawling? The difference is quite huge. Google crawler is a program which visits thousands of web pages each day or maybe more. On the other hand, the index is where it stores those web pages so then it can be displayed in the search results. Google named it’s crawler ‘Googlebot’. The purpose of this crawler is to visit new pages, find links on those pages, and visit them. If it finds new pages then it send them to it’s server which is known by the name “Google Index”. This process is fully automated. However, you can improve your chances of indexing all the web pages on your website. How as a Webmaster Can you help Google Crawl and Index Your Pages Faster? Verify your website property on Google Search Console and submit a sitemap. Specify your XML sitemap URL in the robots.txt file. Through Google Search Console URL inspection tool, you can submit new individual pages to the Google index. I hope you find this post useful. If you have any questions regarding Google indexing issues faced by your site, please feel free to send me a message.